ROSWELL, GA (KTRK) -- A woman faces several charges after police say she purposely damaged another parent's car at an elementary school. Roswell, Georgia police arrested Letty Amelia Bradford this past weekend as part of a nearly month old road rage investigation. Police say on December 19th, parents began arriving at an elementary school to see their kids perform in a Christmas show. Bradford came to a stop in the parking lot lanes and wasn't moving. Another parent, looking for a parking spot, drove around Bradford and parked her car. When the victim came out of the show, she found someone had caused $600 worth of damage by keying her 2014 Kia Sorento. Police took a report but had no idea who was responsible. Then last week, an officer went back to the school, pulled surveillance video and was able to pinpoint the suspect. 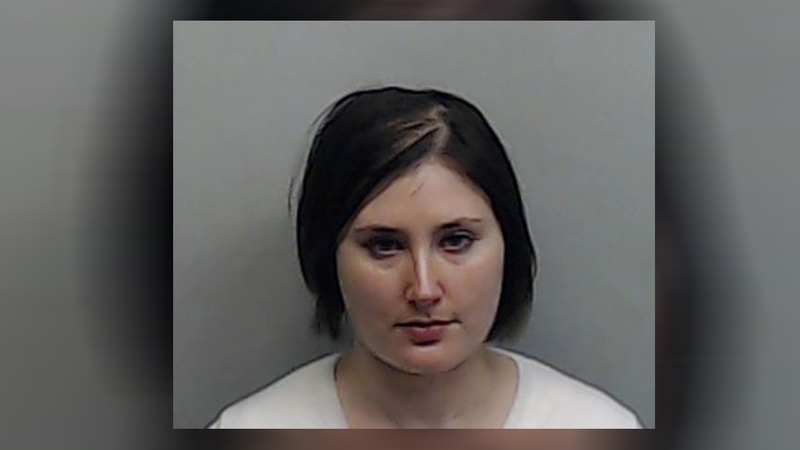 "It was a stressful time, right before the holidays, and with having to take time off work and she basically pushed my buttons," Bradford told ABC affiliate WSB-TV after her arrest. "I'm very sorry. I was having a bad day and I overreacted." Bradford now faces damage to property and disrupting public school charges. She has promised to pay for the damage to the victim's vehicle.